We have a wide range of cooking and cake-covering chocolates and confectionery ranges. 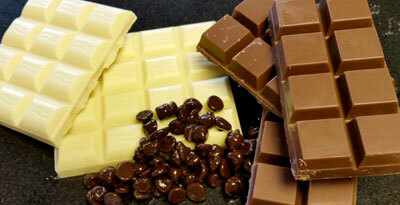 We can develop the right taste to suit your tastes in white, milk and dark, chocolate. With cocoa content to suit your product ranges, and in various styles and packs, we’ve got it covered! For more information, please contact us at enquiries@ldhltd.com. We can help you cover your category and your customers’ cakes. Please contact our Sales Team directly or via email here.